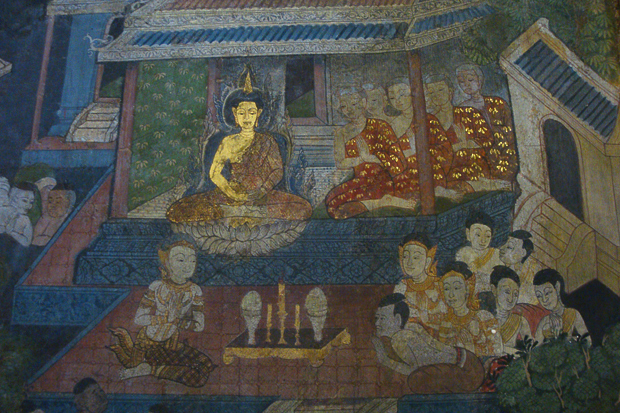 These are photographs of the detailed murals that decorate the walls and windows of the Reclining Buddha temple. It exists in a much larger temple complex called the Wat Pho, which contains several hundred images of Buddha, many stupas, a huge Bodhi tree, stone statues and smaller temples. 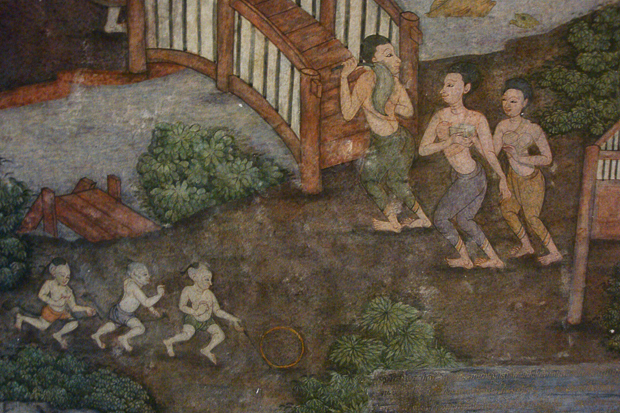 The scenes narrate the story of Buddha, and remind me of the vast murals in the Ajanta caves which are much older. From the photos you notice that some parts of these murals look newer than others. I can only guess that these parts have been restored and touched up recently.